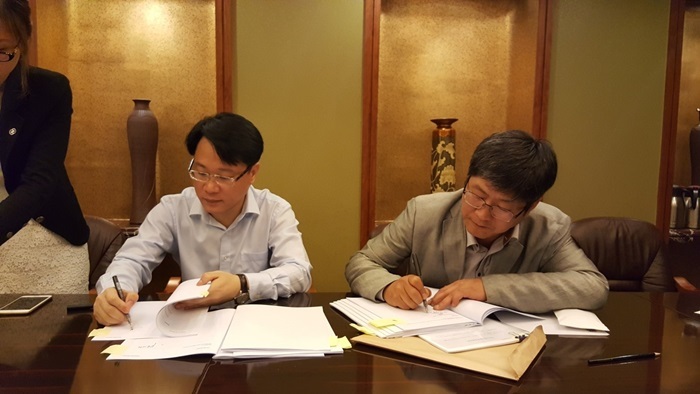 The Export-Import Bank of China, Zhejiang and Kwangyang Marine Co., Ltd. have entered into the Loan Facility Agreement on May 23,2016. This is the first time for Zhejiang CEXIM Bank to extend loan directly to foreign shipowner. The facility amount is upto U$20,000,000 which will be provided for new building of DWT 18,500 Heavy Cargo Carrier. The loan is covered by SINOSURE’s export credit insurance for duration of 10 year time charter. The vessel is under construction at Zhejiang Zengzhou Shipbuilding Co.,Ltd. and to be delivered during September,2016. Mastek Heavy Industries Co., Ltd. has contributed to the contract as broker for the ship and finance and supervisors for the construction as well. 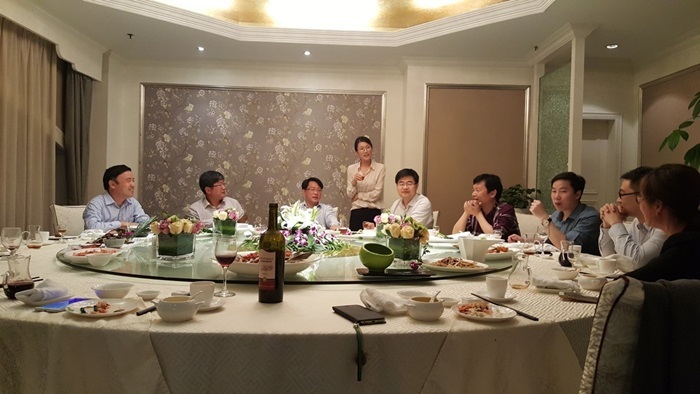 Mr. K.H.Lee, Vice President of Kwangyang Marine Co.,Ltd is on the right. 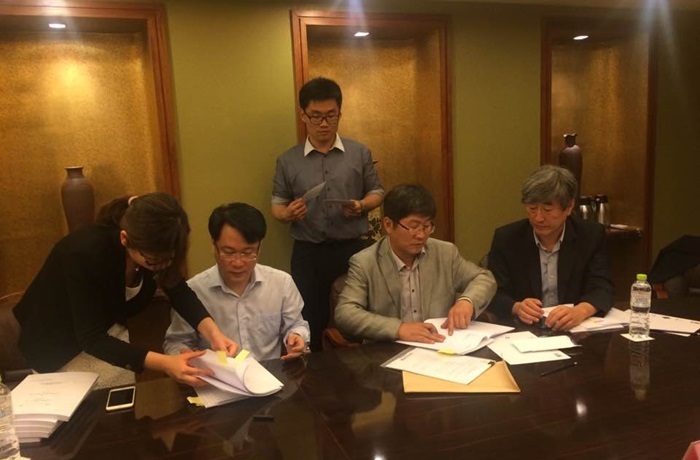 After signing ceremony persons representing CEXIM Bank, SINOSURE, Zhejiang Zengzhou shipyard and HIT Marine, partner company of MASTEK in China and Mastek Heavy Industries are getting together to congratulate the event.